Heavy Hitters Vape Cartridges are notorious for their 2.2-gram size cartridge and strong distillate oil. No other prefilled cart brand has the same size cart or anything close to it. 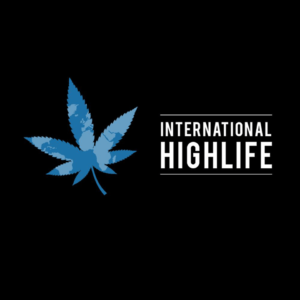 Heavy Hitters has a great selection of strain and terpene combinations available too. 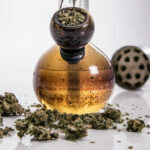 It doesn’t take more than a single puff to start feeling the strong effects of the hash oil. Unfortunately, this is another prefilled hash oil cartridge that has some issues with pesticides. 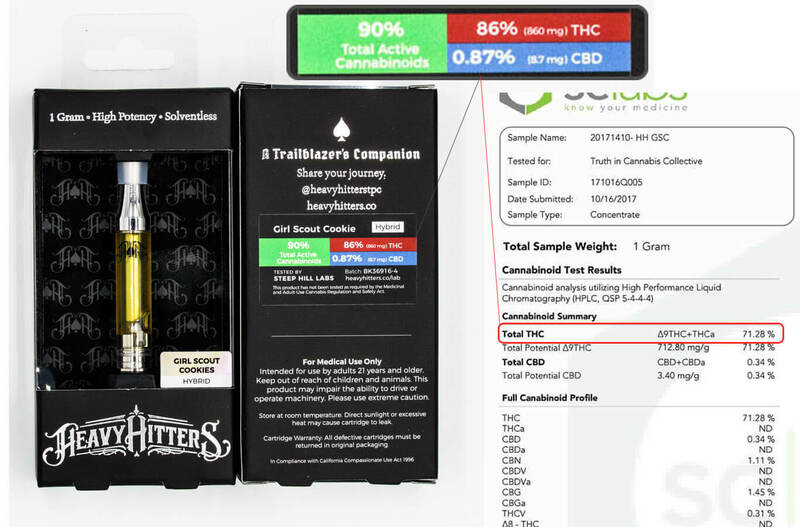 The slogan for this cannabis concentrate cartridge brand is, “a trailblazers companion.” I am very active in the festivals and rave scene right now and have traveled with a 2.2g cartridge from Heavy Hitters. It caught the attention of everyone around me because of its length and people instantly gravitated towards it. There is an Instagram account for Heavy Hitters that is private and currently has 83,000 followers. I recommend adding them if you’re 21 years or older. They are very active on their Instagram and already published over 2100 posts. 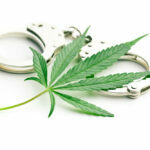 They have an excellent rating on Weedmaps with a 4.3/5 from out of 478 reviews. This company has the potential to do good in the long run if they clean up their THC oil. I tried out a few different cartridges from Heavy Hitters and share my experience below. 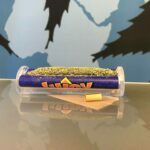 Their OG Kush and Bubba Kush both in a 2.2-gram cartridge (this was before there were dirty lab test results published). I vaped every drop of each Heavy Hitters cartridge with well over 150 hits each. I didn’t like how the Bubba Kush tasted but really enjoyed the OG Kush. Vaping cannabis oil with Heavy Hitters vape cartridges is efficient. I liked their 2.2g cartridge, the amount of times it can get you high is astonishing. Anybody who vapes their carts fast won’t be able to put a dent on this one until after at least a few days. Don’t drop the 2.2-gram cartridge because the glass isn’t very thick and can break. The one gram THC oil cartridge from Heavy Hitters has great vaping capability too. 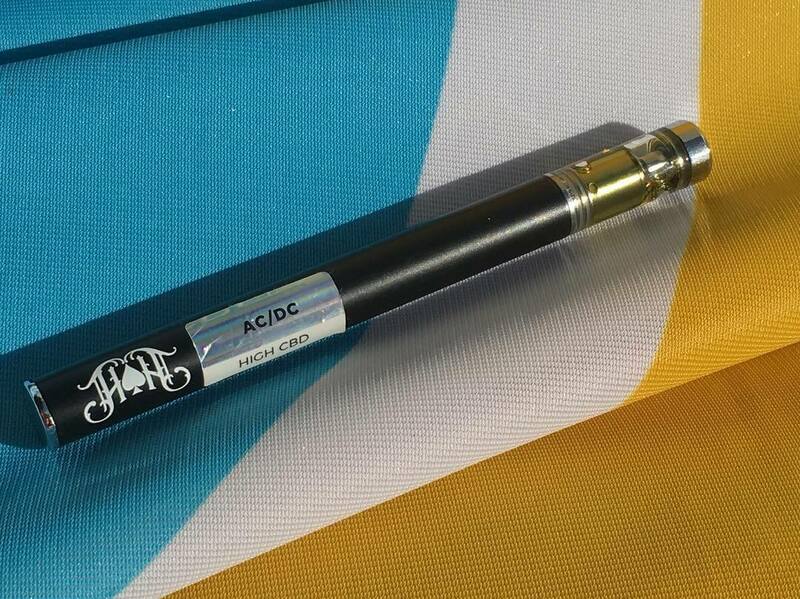 The Heavy Hitters vape cartridge brand has recently released a new disposable prefilled cart. 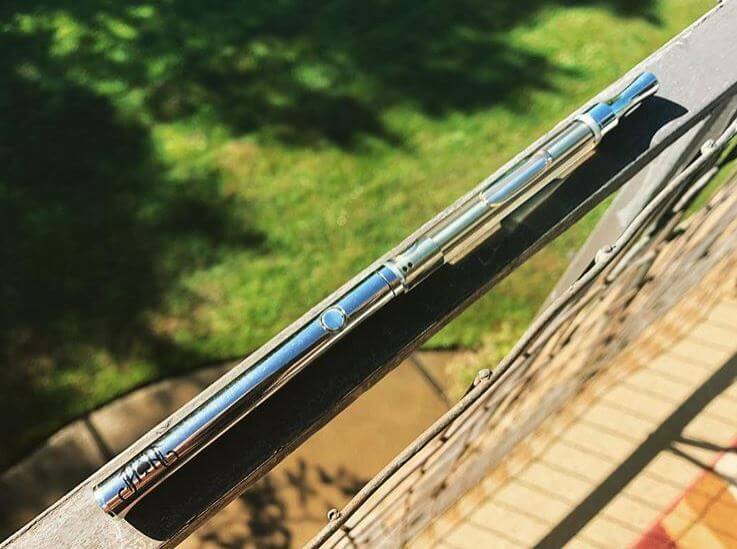 This new all in one disposable vape pen holds 300mg of cannabis oil. This is also the same direction that other prefilled vape cartridges started going, and that’s selling lower than a half gram amount of their cannabis oil. Heavy Hitters also recently released their THC oil inside of one gram Pax Era pods. My only complaint is that the glass is too thin and easily breaks when accidentally drop it. The THC oil flavor from Heavy Hitters cartridges is similar to Brass Knuckles carts. There are rumors online that they are using similar terpene recipe with their cannabis oil that is similar to Brass Knuckles vapes. There have been changes to the cannabis extract oil used by Heavy Hitters, the most noticeable is how much more clear it looks now. Brass Knuckles vape cartridges also had a change with their THC oil that results in more clear hash oil. This change happened shortly after both of these companies were exposed to contaminated cannabis oil. 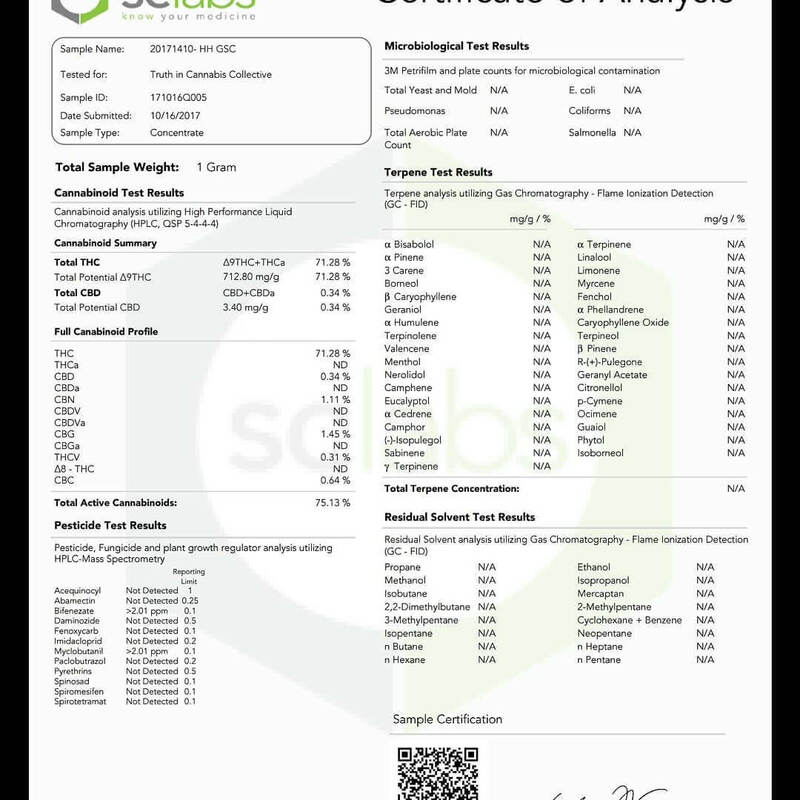 Although the packaging includes lab test results identifying the total cannabinoids, independent lab test have contradicted these showing lower THC then advertised. This lab test was shared in March 2018 on the Instagram page of @datdude41510. The strain tested from Heavy Hitters vape was their Girl Scout Cookies Strain. 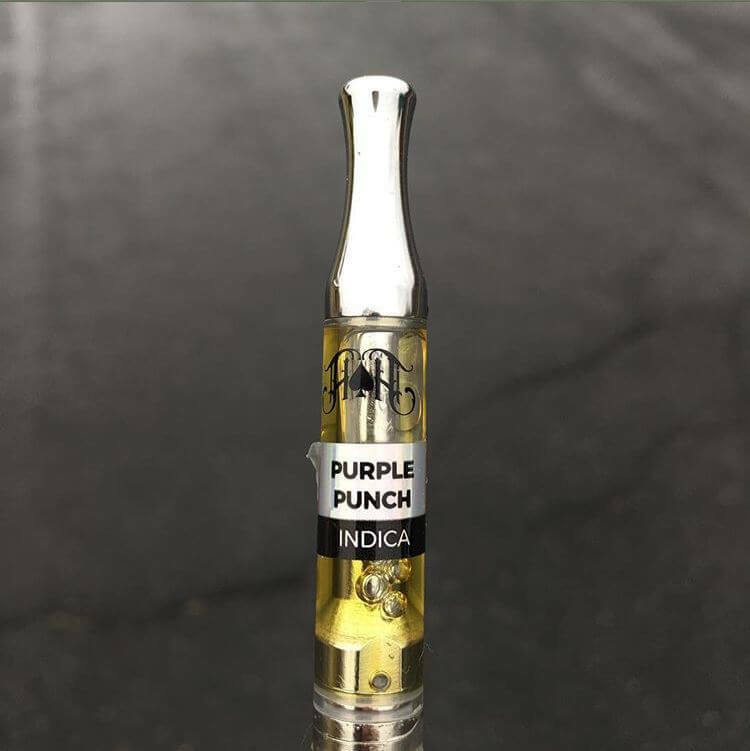 On the packaging for this prefilled cartridge its labeled 90% cannabinoids, only 71% of total cannabinoids were identified from the independent lab test results from @datdude41510. The full results can be seen below showing this Girl Scout Cookies strain also tested positive for pesticides. Pesticides do not smell so unless you have the actual accurate lab test, you cant detected it by smell or taste. The accuracy of the THC content has been exaggerated among many other prefilled cartridges. It’s unfortunate that these companies manufacturing these hash oil cartridges are lying about the actual amount of total cannabinoids. There has been a surge of Heavy Hitters cartridges on the black market for half the cost of their retail price. 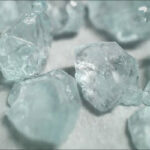 Typically a full gram of Heavy Hitters will cost you between $50-$60 dollars before taxes. Right now in the Bay Area, it’s easy to find these carts for sale on craigslist or the let go app for $30 a gram. 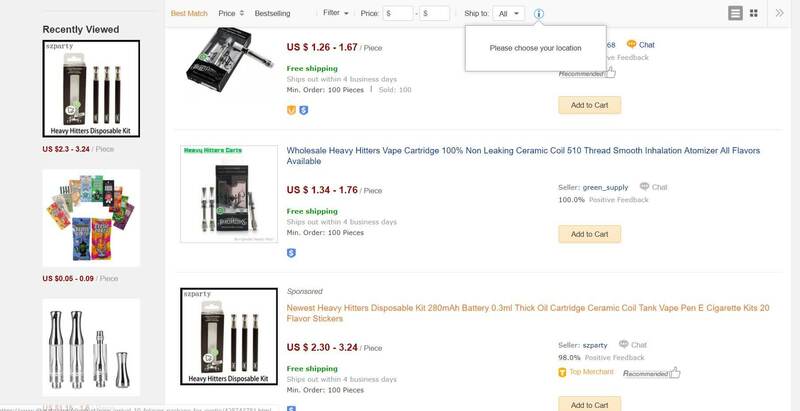 This leads me to think that there is a chance that the Heavy Hitters vape cartridges tested positive for pesticides are getting sold on the black market for a low price. Do not buy a Heavy Hitters cartridge unless it’s from a licensed dispensary. It’s common to find people sending messages through social media platforms like Instagram trying to sell these carts for cheap. I’ve myself have had people follow my Instagram account, and I they asked me if I wanted to buy any cartridges for prices much lower than my local dispensaries. I do not recommend buying these for half the price online or from somebody you know, because they are most likely not healthy. Once again another packaging of a popular vape cartridge brand has been found being sold online from China. They even have the new Heavy Hitter disposable cartridges available empty and refillable. Anyone can buy these online and add low quality THC oil in disguised as a Heavy Hitters vape brand. The only way to ensure you’re not buying a counterfeit Heavy Hitters cartridge is to buy from a licensed cannabis dispensary. If you want to find out more about fake cartridges you should read our guide about it. Let us know with a comment below what Heavy Hitters vape cartridge you have tried. Also, what do you think about the lab test for them showing pesticides?